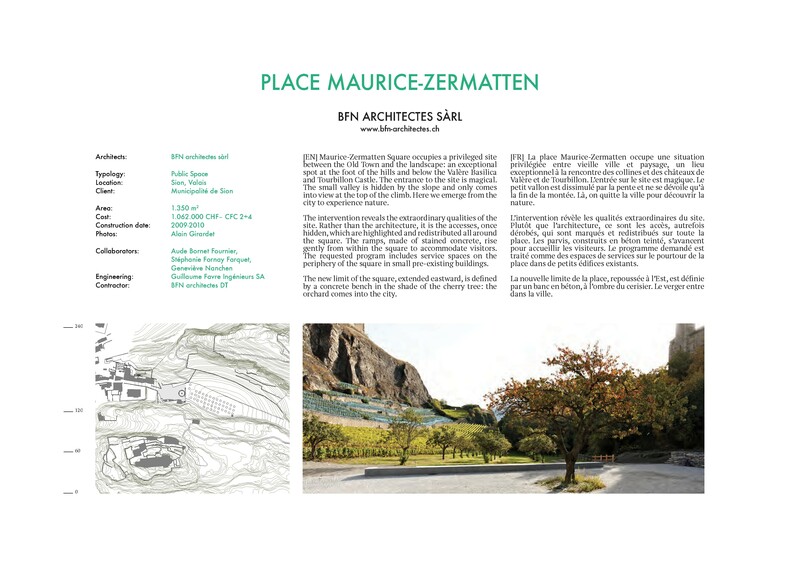 Maurice-Zermatten Square occupies a privileged site between the Old Town and the landscape: an exceptional spot at the foot of the hills and below the Valère Basilica and Tourbillon Castle. The entrance to the site is magical. The small valley is hidden by the slope and only comes into view at the top of the climb. Here we emerge from the city to experience nature. 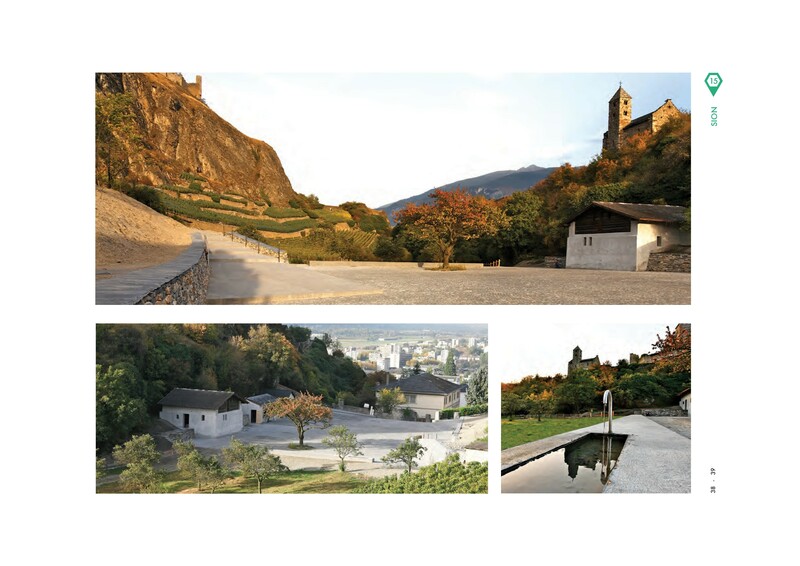 The intervention reveals the extraordinary qualities of the site. Rather than the architecture, it is the accesses, once hidden, which are highlighted and redistributed all around the square. The ramps, made of stained concrete, rise gently from within the square to accommodate visitors. The requested program includes service spaces on the periphery of the square in small pre-existing buildings. The new limit of the square, extended eastward, is defined by a concrete bench in the shade of the cherry tree: the orchard comes into the city.